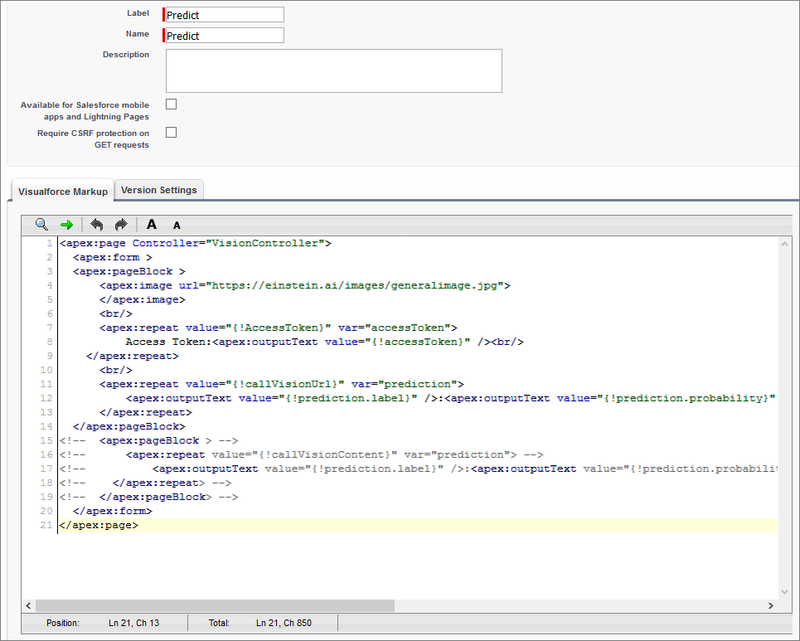 Now you create the Visualforce page that calls the classes that you just created and displays the prediction results. In Salesforce, from Setup, enter Visualforce in the Quick Find box, then select Visualforce Pages. The Name field automatically populates based on this entry. From README.md, copy all of the code from <apex:page Controller="VisionController"> to </apex:page> and paste it in the Visualforce Markup tab. The time has come to test out all your hard work. To refresh your memory, you run the code you created, and that code calls the Einstein Image Classification API. 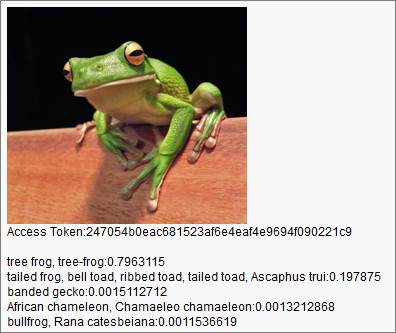 The code sends the image of the tree frog to the general image classifier (by referencing the image URL), and returns a prediction. From the Visualforce page you created, click Preview. Your page shows the prediction results from the general image classifier, and the classifier is pretty sure it’s a picture of a tree frog. Congratulations! You just called the Einstein Image Classification API, sent an image into an existing model, and received a prediction back from the model.